Moto X3m 4 Winter is a Racing game on GaHe.Com. You can play Moto X3m 4 Winter in your browser for free. Play the newest bike game Moto X3M 4 Winter. This time you will try to challenge the winter riding motorbike with fun levels. 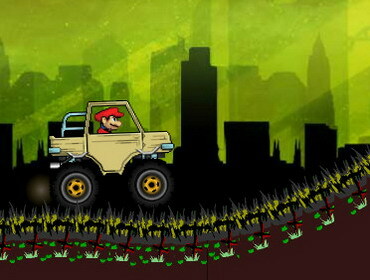 Drive your bike through the circles and hills, be away from dangerous obstacles, and make awesome stunts. It's a fun game to keep you entertained for hours! Can you complete all levels? Control: W or up arrow to accelerate. S or down arrow to brake. A or left arrow to tilt left. D or right arrow to tilt right. Spacebar to continue.